On the Boston Review, Paul Bloom has a provocative article titled “Against Empathy.” It’s not advocating an uncompassionate approach to life, and in fact central to his thesis is that there is a distinction between empathy, which he says can limit and exhaust us, and compassion, which he points out is more sustainable. It is worth expanding on the difference between empathy and compassion, because some of empathy’s biggest fans are confused on this point and think that the only force that can motivate kindness is empathetic arousal. But this is mistaken. Imagine that the child of a close friend has drowned. A highly empathetic response would be to feel what your friend feels, to experience, as much as you can, the terrible sorrow and pain. In contrast, compassion involves concern and love for your friend, and the desire and motivation to help, but it need not involve mirroring your friend’s anguish. Or consider long-distance charity. It is conceivable, I suppose, that someone who hears about the plight of starving children might actually go through the empathetic exercise of imagining what it is like to starve to death. But this empathetic distress surely isn’t necessary for charitable giving. A compassionate person might value others’ lives in the abstract, and, recognizing the misery caused by starvation, be motivated to act accordingly. Summing up, compassionate helping is good for you and for others. But empathetic distress is destructive of the individual in the long run. It might also be of little help to other people because experiencing others’ pain is exhausting and leads to burnout. This issue is explored in the Buddhist literature on morality. 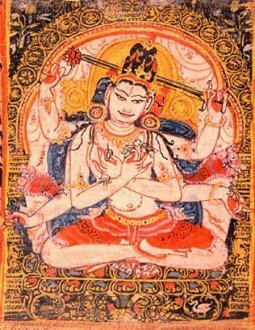 Consider the life of a bodhisattva, an enlightened person who vows not to pass into Nirvana, choosing instead to stay in the normal cycle of life and death to help the masses. How is a bodhisattva to live? In Consequences of Compassion (2009) Charles Goodman notes the distinction in Buddhists texts between “sentimental compassion,” which corresponds to empathy, and “great compassion,” which involves love for others without empathetic attachment or distress. Sentimental compassion is to be avoided, as it “exhausts the bodhisattva.” Goodman defends great compassion, which is more distanced and reserved and can be sustained indefinitely. One sees a similar contrast in ongoing experiments led by Singer and her colleagues in which people are either given empathy training, which focuses on the capacity to experience the suffering of others, or compassion training, in which subjects are trained to respond to suffering with feelings of warmth and care. According to Singer’s results, among test subjects who underwent empathy training, “negative affect was increased in response to both people in distress and even to people in everyday life situations. . . . these findings underline the belief that engaging in empathic resonance is a highly aversive experience and, as such, can be a risk factor for burnout.” Compassion training—which doesn’t involve empathetic arousal to the perceived distress of others—was more effective, leading to both increased positive emotions and increased altruism. Very interesting. From the pov of working as a counsellor and therapist-a profession in which burn out is rife- I am curious about this distinction and how it works in practice. I am also wondering how the practice of tonglen would fit it with this. I’ve wondered about tonglen and how healthy it is, how it may lead to burn out. Thanks. Yes, I find this from personal experience to be true for me. I am too empathetic with certain people and it is exhausting. I’m not even sure how accurate it is. I can see how compassion would be more sustainable. To some degree, empathy might be a projection of your own feelings on how you think someone else is feeling. Perhaps they are not feeling as badly as you think they are. This is interesting. I’m curious how one would see this intersecting with the work of Heinz Kohut, who viewed empathy as an essential element of healing in therapy. I think this perspective you offer reminds us to take care of ourselves and to beware of burnout and can be helpful. However, I wonder if the appropriate response to avoiding burnout is to toss our attempts to establish empathy altogether? Rather, I see a need for both compassion and empathy and would personally be wary of any practitioner (or person) who thinks that empathy is a liability. I see empathy as what makes us human, and I at times feel a concern for perspectives that call to not be attached, wondering if this can at times serve as defensive protection against the scary act of being vulnerable and attached to others. I’m not familiar with the work of Kohut, I’m afraid. I posted an extract from Bloom’s article because it’s provocative and might promote reflection, rather than because I agree with him. I happen to think that empathy (anukampa) is a valuable basis for compassion, and I’m not confident that when a researcher like Bloom talks about empathy he’s really talking about empathy, which is the felt response to another person’s suffering. I suspect he’s actually talking about the “Oh, that’s terrible! This shouldn’t be happening!” response, which can arise on the basis of empathy, but is neither empathy nor compassion. Instead it’s a form of “grief, sorry, and lamentation” (the Buddha’s second arrow), which of course becomes exhausting and prevents us from being able to act in a helpful way over a sustained period. Upatissa, the 1st century commentator, said in fact that “sorrow is failed compassion.” I think Bloom is actually contrasting not empathy and compassion, but sorrow and compassion. A compassionate response starts with the same felt response to another’s suffering, but the desire is simply to relieve the suffering. The Bodhisattva isn’t wallowing in sorrow, nor exhausted by empathy. We can no more have “compassion fatigue” than we can have “kindness fatigue” — if our compassion is genuine and not the “near enemy” of sorrow.